What tactics and processes do logistics consultants utilise to improve the efficiency of a client’s supply chain? And how can recommendations be implemented by a manager? 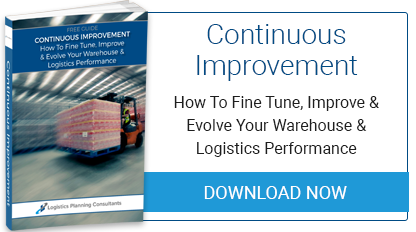 While the end results are improved logistics planning processes, let’s examine how a typical consultant would approach the challenge of correctly identifying areas worthy of attention and improvement. In following this process, the consultant will utilise some simple tactics. Initially, meeting with the owners of relevant roles or functions to obtain as much low level detail as possible about the current operation - disruption is kept to a minimum. Then each related activity is tested against current best practice and market knowledge to look for potential areas of improvement. The consultant will assess the information systems to establish if they could be better utilised or require updating or changing to provide greater support for the business. Eventually, any worthwhile observations are translated into draft recommendations for further discussion and refinement with the manager. Finally, recommendations are finalised and formalised into a written report with suggested actions for implementation. If required by the client, the consultant may then adopt a delivery plan role to drive out the changes. Companies who have appreciated the benefits of deploying computerised systems enjoy a distinct advantage over competitors who have not done so. Apart from improved efficiencies and productivity, the availability of metrics (or Key Performance Indicators, KPIs) is a key differentiator in their favour. Metrics are the source and input for deep analysis and intelligent decision making based on what actually occurred in the past. Without them, managers are reduced to depending too much on anecdotal evidence perhaps backed up by paper records that require effort to analyse and probably do not provide the full picture in any case. Without them, a consultant’s value is diminished somewhat. This may result in a recommendation to install or improve computerised systems. What Can A Manager Do To Implement Recommendations? Proposed changes to a logistics and supply chain management operation fall under the heading of Business Change. Many organisations have an established and documented process to be followed and the logistics manager will act as either the sponsor or the delivery manager of these changes. Each recommendation will be discussed and costed at a high level. The majority will often sit within the manager’s authorised spend range. Some more significant proposals may require capital investment and need senior management or board level approval. This inevitably requires buy-in and commitment by the manager if a persuasive business case is to be presented. In all cases, the manager needs to clearly appreciate the benefits and essentially wholeheartedly agree with the recommendations if they are to be rolled out successfully. Half-hearted implementations rarely deliver full ROI. A good starting point is to download our free guide Continuous Improvement Guide. If you are considering bringing in external expertise to help with an issue or project, then by all means contact us for a free initial professional consultation. 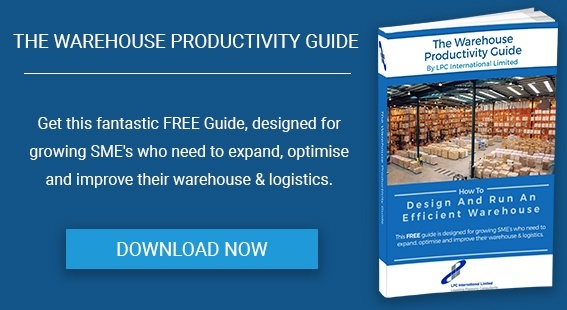 What tactics and processes do logistics consultants utilise to improve the efficiency of a client’s supply chain? And how can recommendations be implemented by a manager? While the end results are improved logistics planning processes, let’s examine how a typical consultant would approach the challenge of correctly identifying areas worthy of attention and improvement. A good starting point is to download our free guide Continuous Improvement Guide. If you are considering bringing in external expertise to help with an issue or project, then by all means contact us for a free initial professional consultation.